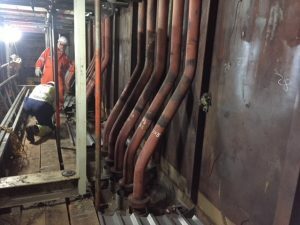 During the 2017 statutory outage it was identified that due to flow assisted corrosion the HP Evap riser pipe work required replacing. 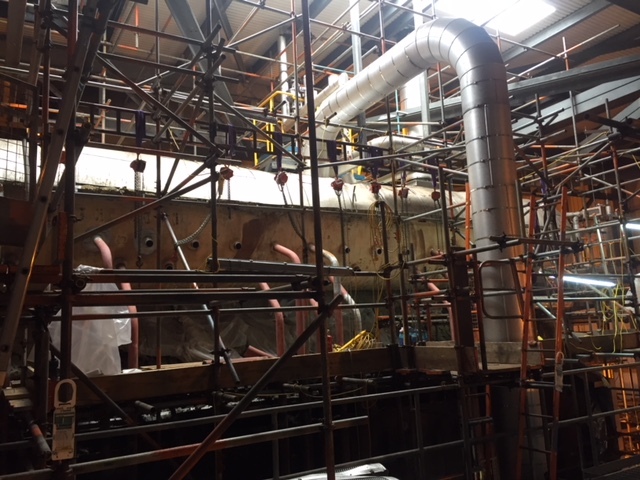 TEi were given 15 days to complete this work which included removal of the building roof to provide access for a 130t crane. Transportation of approx. 450m of pipe to and from specialist bending contractors. Wreck out all boiler wall furniture and 30off riser pipes. Prepare, lift and install new pipe (4” Schedule 80, 2 ¼ Chrome). Each riser approx. 15m with two bend sets. 4 welds per riser (120 total). 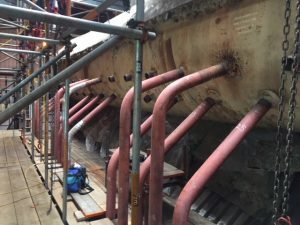 Electric pre-heat applied to all 120 weld joints. 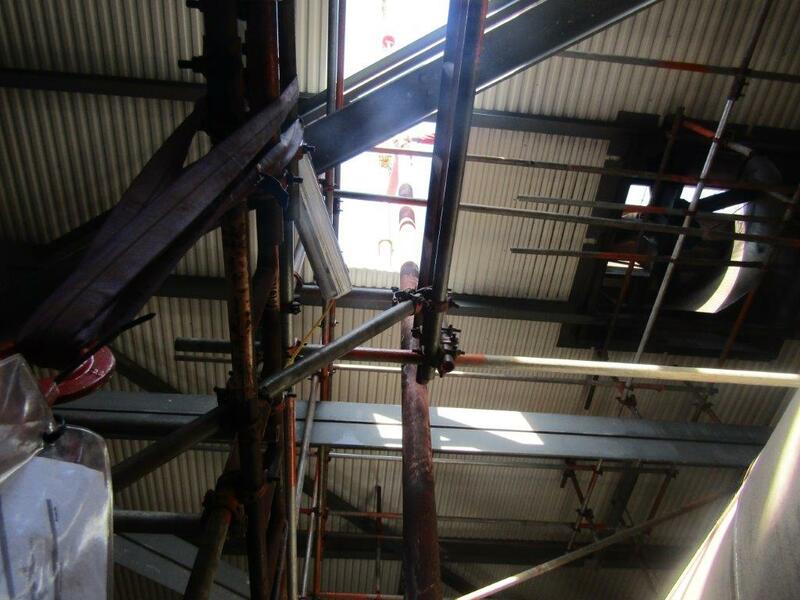 50% of all welds were completed as mirror welds. 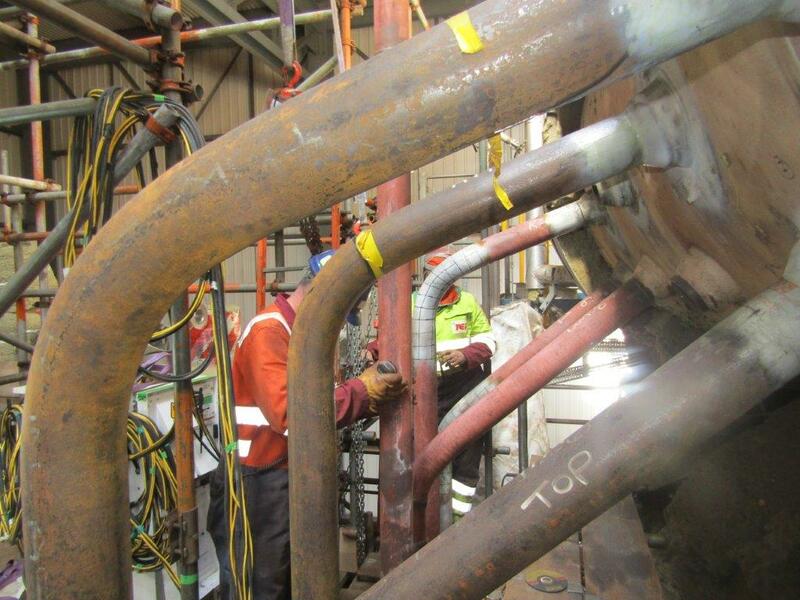 100% weld completion with 0% weld repair rate. Successfully returned the plant to service when required. Successfully completing both Unit’s 2 & 3 to date with Unit 1 scheduled for 2018.